There are plenty of jobs to do in July in the garden to ensure a bountiful harvest. Dry spells can greatly influence the quality and yield of fruit and vegetables. It is very important to check plants regularly to see if they require watering. If they do need water it is best to give the plants a good soaking so that the water can percolate deep into the soil. This encourages the plants to root deep into the soil which means they are less susceptible to drought. If you find that the water runs off before it has chance to soak in mound up the earth around the base of plants to form a basin. This will hold back the water and allow it to soak in to where it is needed. It is best to water in the evening or early morning to prevent the water from evaporating in the heat of the day. If you have any well-rotted compost available use it to mulch established plants after they have been watered to help prevent water loss through evaporation. 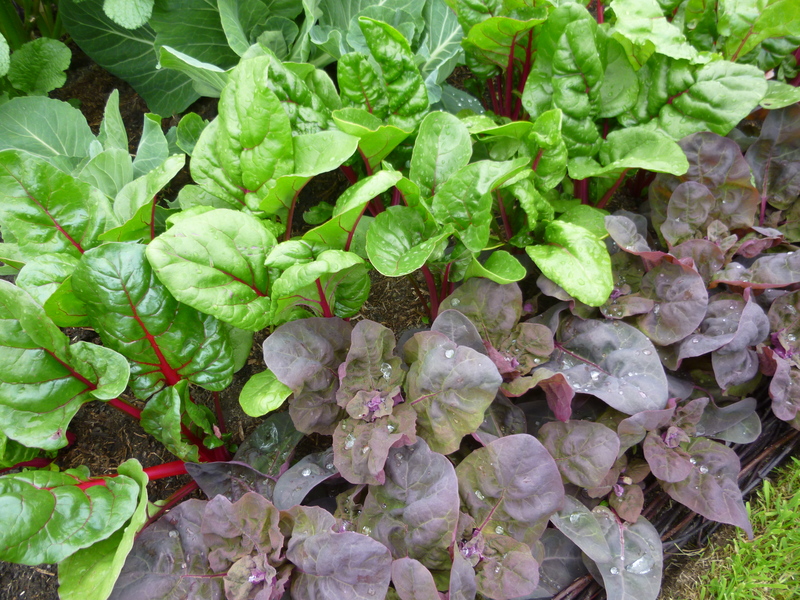 Several crops will be ready to harvest in July. Try to harvest them while they are in peak condition. It is easy to leave crops in the ground too long and past their best. Peas, beans, salad leaves, radish, turnip, carrot and beetroot are all more tender and sweet when they are harvested young. If they are left too long they can become woody or bitter. Do not underestimate how much time it takes to harvest crops. Make sure you set aside some time each week to check the garden and harvest the things that are ready to eat. Regular harvesting also helps to prevent gluts. It is a common mistake to sow too many lettuces seeds that all ready to harvest at same time. However if you harvest most of the lettuces while they are young an oversupply of big lettuces becomes less of a problem. There is still time to sow a range of crops. 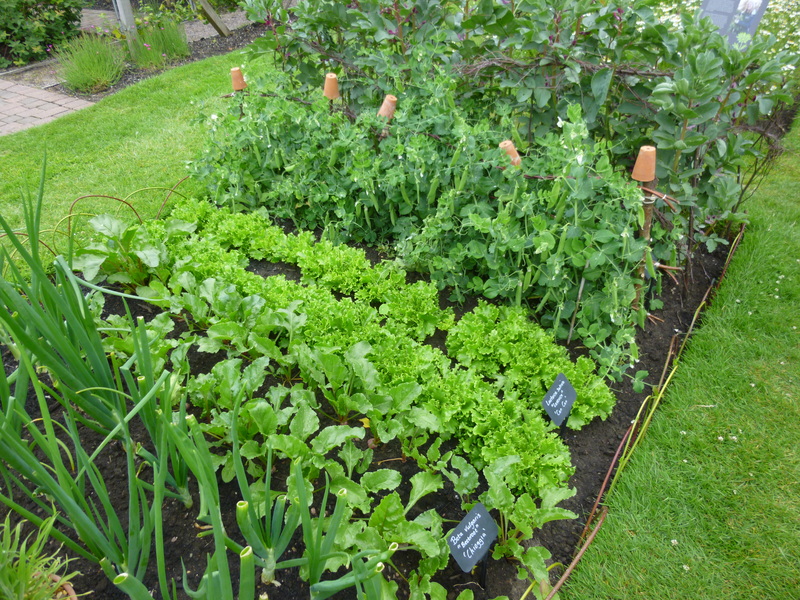 Quick growing vegetables such as lettuce, salad leaves, radish, turnip, beetroot, fennel and kohl rabi can all be sown in July to provide harvests into the autumn. Even if these crops a still small by the time the weather starts to get worse they can be eaten as ‘mini-veg’. 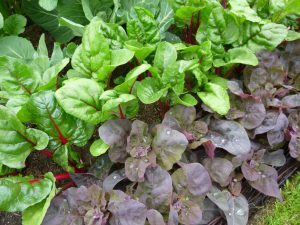 There are a range of other crops including parsley, spring cabbage and chard that can be sown now and can be over wintered to provide a harvest in the spring. To be successful they will almost certainly need protecting from hungry pigeons in the winter months and may need to be covered with a cloche if they are to survive the worst of the weather. If you have propagated or bought leeks or winter brassicas such as kale, cabbage and purple sprouting broccoli now is the time to plant them into their final position in the garden. 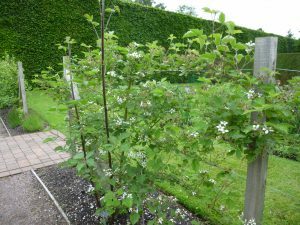 Cultivated blackberries and hybrid berries such as loganberries, tayberries and boysenberries produce new stems during the summer that will provide fruit next year. These plants are usually very vigorous and need training to post and wires or a wall or fence. The new stems will need to be tied onto the supports as they develop. Doing this now prevents the plants becoming a tangle later in the season and helps to prevent them getting damaged by blowing about in the wind. If the conditions have been good some apple, pear and plum trees may now be developing an abundance of fruit. It may be necessary to support branches to prevent them snapping. If a tree produces too much fruit the quality may decline and they may not have enough reserves to produce any fruit next year. This can initiate a problem known as ‘biennial bearing’ where the tree goes through a cycle of producing lots of fruit one year and none the next. You can help reduce the risk of this by removing a proportion of the fruit (known as fruit thinning). This will also increase the quality of the remaining crop. 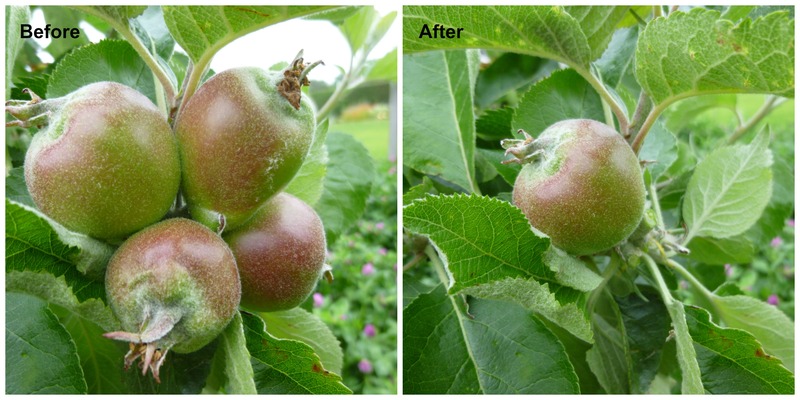 Apples and pears grow in clusters, aim to leave just one or two fruit per cluster, leave the strongest and best shaped.